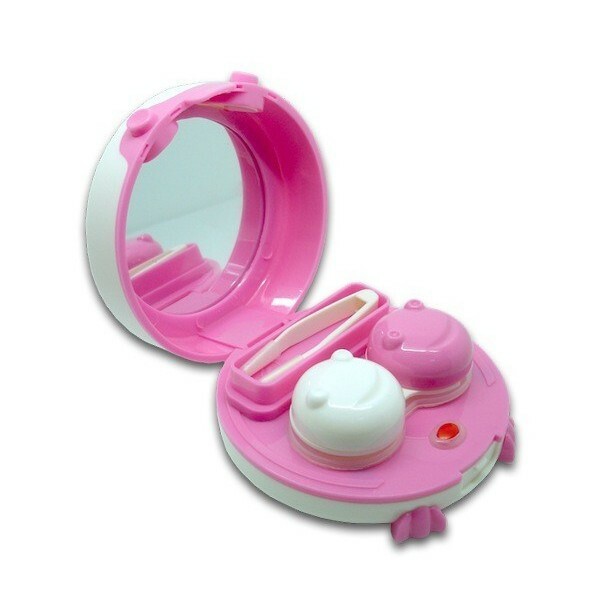 This Cute Robotic Automated Contact Lens Cleaner Kit takes the fuss out of conventional contact lens cleaning. 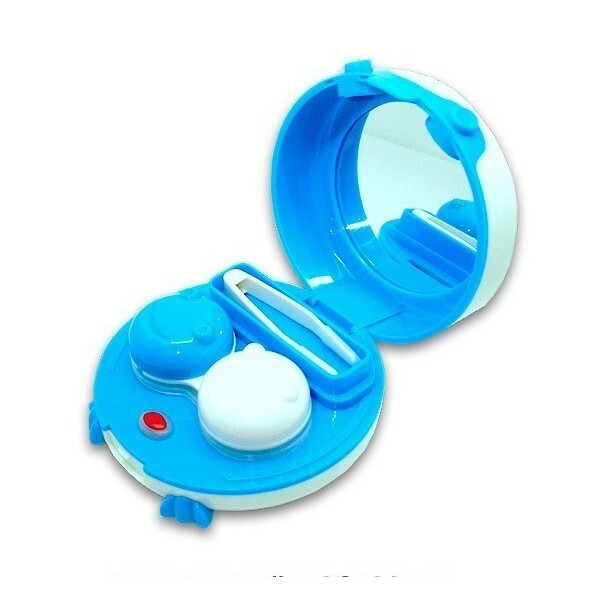 This Automated Contact Lens Cleaner Kit prides itself on being the latest innovation in easy and safe lens cleaning. 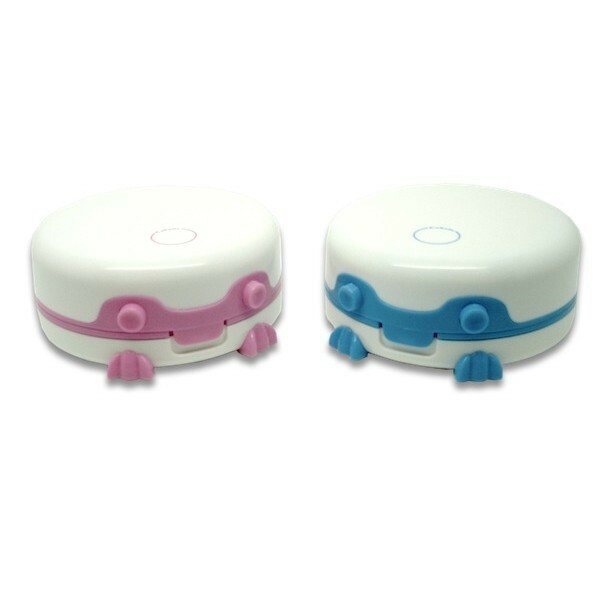 It machines sport a hands-free compact design and is operated with the use of one AA battery. There are a number of benefits associated with the process of hands free cleaning fostered by the use of our Automated Contact Lens Cleaner Kit. There is a significantly lower risk of tearing or damaging the contact lens. And clinical trials have deemed mechanically cleaning more effective than lens cleansing by hand. 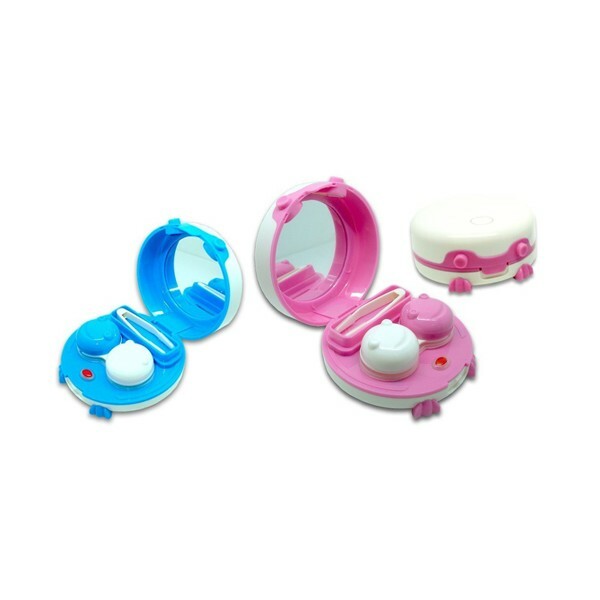 Fill the contact lens case (included) with usual saline solution or multi-purpose solution. Use the soft tweezers (included) and put contact lens into the case that has the saline solution or multi-purpose solution. ﻿﻿﻿﻿﻿Fit the case into the machine and press the ON button, leave it for 3-5 minutes. Remove the lens and soak them again in fresh saline solution or multi-purpose ﻿. Relieving lenses of dirt, protein, and other deposits. Cleaning more effective than lens cleansing by hand. Designed to assist optical lens wearers through the task of healthy lens maintenance.